It is a very good guide for settings for a gigabyte BIOS and many of the settings should be the same across different MOBOs but note the points below about different RAM and CPU settings depending on what gear you have. 4. Also a key setting is BCLK, base clock speed which effects memory speed and also CPU speed, so If you change it once make sure that you adjust your memory multiplier and also the CPU multiplier to make sure that you aren't overclocking one or the other of these. For a Gigabyte X58A BIOS template please see the attachments section of this post. Use this template to fill out your BIOS settings if you want me to take a look! Either for normal use or for overclocking settings. 2. Very easily you can burn an ISO to CD that you can boot from or if you have Windows, you can download their EXE file to make a USB key bootable with the program. 3. 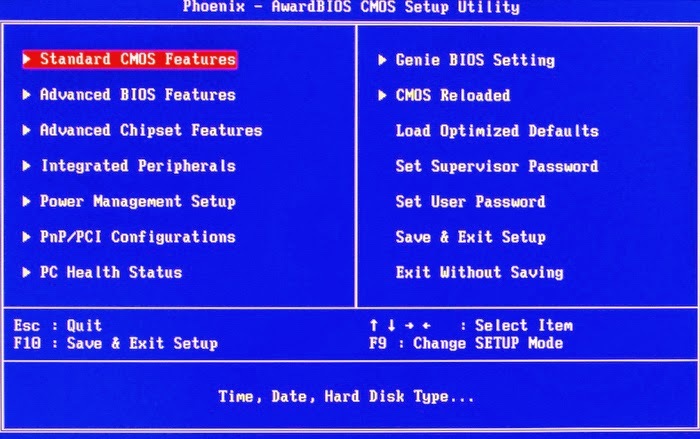 Restart your system, use F12 key to get boot menu and then boot from CD or USB-HDD. 4. Allow Memtest to run. 5. You will very quickly find out if you have a major problem with your memory settings, I got errors within first 5 seconds where I had wrong BIOS settings. 7. If you have issues, I'd suggest double checking your BIOS settings for your RAM including the speed, CAS settings, and voltages. I would also suggest trying one stick at a time and also in different ports, this will test if you have a bad stick of RAM that is causing the DDR2 or DDR3 to fail when they are all together, and also by moving around the RAM ports you can check if you have a bad motherboard RAM socket. 8. If you are still having issues then I would head over to the support pages of your RAM manufacturer and find out some more info for your specific RAM chips and also add in your mother board manufacturer as all this can help find out any issues. 1. There are again a whole host of programs out there to test your CPU and also monitor your systems temperatures in Windows. 2. A program for watching temperatures that I used was SpeedFan and was told that it was fairly quick and didn't take up much resources for it to run itself (http://www.almico.com/speedfan.php) But also there are some programs that may come with your motherboard, the gigabyte CustoMac motherboard definitely does. 4. The reason for having both SpeedFan and the CPU testing programs is that you should watch your CPU temperatures and other temperatures of your system when running these CPU testing programs, if you haven,t got your heat sink mounted properly, used too much thermal paste, or any other issues with the cooling of your CPU, you can damage your CPU very easily if you let it run very hot for any period of time. 5. Depending on the speed of your cooler and the ambient temperature of your computer's home, the idle temperatures of your CPU should be in the 30-40 C range and under stress tests can be up to around 60-70 C. Unless you really know what you are doing and have some experience in OverClocking then I would suggest that if you CPU temp is any higher than 70 and you should stop any stress testing immediately as it is likely that either there is a problem with your heat sink / fan combo or that you should double check your BIOS settings that you have for your CPU to check you haven't been overclocking it. 7. I would try Prime95 on a Blend Test first for 30 mins, 1 hour keeping a very close eye on your hardware temperatures, see if any errors come up. The Blend Test tests both the RAM and the CPU so it is a good introductory stress test to run for your whole system. 8. If your system passes that Blend Test for the shorter period then I would consider running an IntelBurnTest on 5 passes with everything else on auto and check if any errors come up from the test. The IntelBurnTest has been said that it gets your CPU up to 10-20 C hotter than a Prime95 test hence some people believe it is a more extreme test than Prime95 and can route out any issues quickly. The test should run in under 10 minutes and it's worth watching the temps of this while it runs also. 9. If it passes that test then I would consider running a Prime95 test for up to 24 hours to check how your system fairs in a long term stress scenario. This will also "Burn In" your components, give all your components a full stretch and get them properly warmed up. There's plenty of reading that you can do about the different types of Prime95 tests that you can run, running more than one test at once and running different FFT versions (for example, a bit outdated on version numbers but still a good read http://www.playtool.com/pages/prime95/prime95.html) and also Wiki (http://en.wikipedia.org/wiki/Prime95). As said earlier there are many different tools out there to test the hardware build of your system and the majority of them are on Windows. It's worth while having a look into some of these programs and also your BIOS settings to make sure that your system is set up to work as per the instructions of your memory provider and also that your system will be stable in the future. None of this is a full proof guide however running these programs should give you a fairly good idea of if you have your hardware set up correctly. Also it is very good to do this with newly assembled machines so that you can diagnose if you have any bad hardware whilst you are still in your RMA with your retailer and also manufacturer. It may seem like a dull thing to do when you've just built your new hack and would like to dive off into the world of OSX and installing programs etc. However it can save you a lot of time, effort and expense in the long run to make sure that you have a rock solid build first, get the settings all set up right, and then go off and play with your machine to your hearts content. Plus if you are having some issues any any point with your install - then I'm guessing that one of the first questions coming your way from one of the moderators or community will be "Have you run Memtest/Prime95?"